This spring, while announcing that our XPS 14z won Product of the Year, Jeff Clarke said our aspiration was to continue to “keep the bar high” and to get team members, sales and customers excited about the products that we’re designing, developing and building. I’m excited to say that Dell has not only kept the bar high, we have raised it. The new Dell XPS One 27 debuted as one of the most award-winning desktops earning Editor’s Choice Awards from PC Magazine, Computer Shopper and Hot Hardware in addition to being highly rated by CNET, PC World, Anandtech, Wired and others. Our customers agree as well, like this 5-star review from evetsreklaw: .”… As my son put it, "this is the most beautiful computer I have ever seen." It really is a wonderful piece of equipment that has better capabilities than the equivalent iMac at a significant savings. The screen is beautiful, the power is amazing …." It’s easy to see why the XPS One 27 is highly acclaimed as it delivers the latest technology and a slick design that enables the best big screen experience with one of the most vibrant displays Dell has offered. The XPS One 27 delivers stunning WQHD (2560×1440) resolution in a large 27” display that makes movies, games and photos appear amazingly crisp and vivid. Customers and reviewers are all praising the XPS One 27 for its advanced standard features such as USB 3.0, HDMI in and out, Waves MaxxAudio 4 sound with Infinity-branded speakers as well as options like high-performance graphics from NVIDIA, slot load Blu-ray disc drive and internal TV tuner. These features and options make it an entertainment and multimedia powerhouse that beats our competition! The XPS One 27 scored a major coup from Wired for “beating the $2,000 Apple iMac in a in a specs-for-price battle by offering speedier performance, more storage, a Blu-ray player and NVIDIA graphics and stated that the system is the nicest-looking Windows PC currently on the market.” It’s a great feeling to see Dell putting the competition on the defensive with a new stunning design, vibrant display and a powerful simplicity that makes our product outstanding! In fact, Dell now holds the number one spot in five of PC World’s key ‘Top’ lists, which include all-purpose laptops, ultraportable laptops, desktop replacement laptops and budget desktops, and I’m proud to say that this has been a prime example of not only customers and reviewers feeling the excitement but our teams expressing excitement about designing, developing and building award-winning products. I want to thank our Experience Design Group and engineering teams for their stellar partnership with my team in bringing this product to market. Ed Boyd and team have done an amazing job of designing an innovative and iconic product. Stuart Caffey’s team pushed the limits in engineering delivering a technically advanced product that puts almost every technology and feature customers were looking for in a compact, space-saving all-in-one chassis. Congratulations to all the team members who have helped drive this product launch. The XPS One 27 is another example of the hard work of a very dedicated team that puts the customer first in providing outstanding products and solutions. We should all be proud for continuing to deliver exactly what we set out to do this year: deliver products, solutions and experiences that raise the bar higher than our competition! To see more pictures of it, take a look at the XPS One 27 album on Dell’s Google+ page. 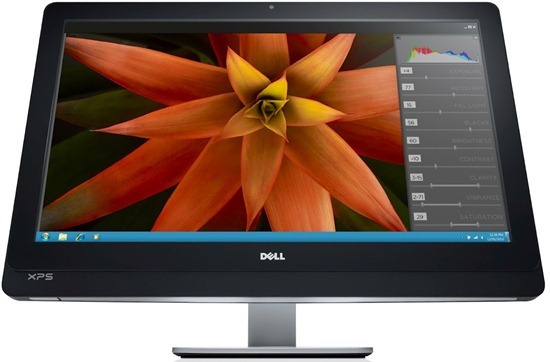 Do you have a comment about the XPS One 27 and what it offers our customers? Post it here and join the conversation. 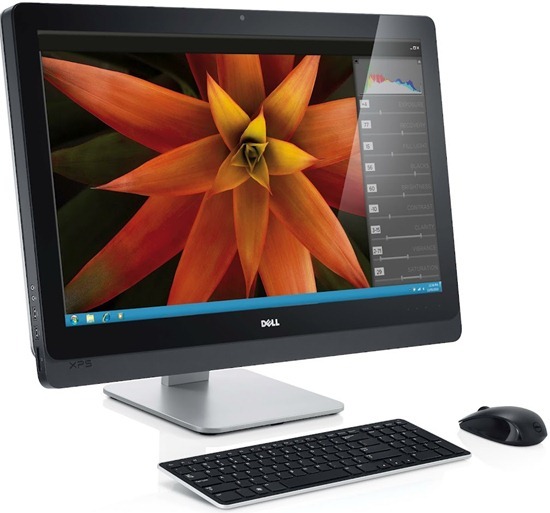 Well done to Dell for the new and exciting hardware of the Dell XPS One 27 Touch, as an owner it really is fantastic. BUT a big slap in the face for the most appalling delivery of a premium product I have EVER experienced. First you delivery it with Windows 8 secure boot configuration screwed so that after you go through the initial setup you are locked out of your computer. After overcoming this by fiddling with the BIOS settings you then repeat the amazing ***-up with BIOS update A09. Well done to Dell for putting the death nail into Windows 8 by such appalling behaviour, the manager responsible for this product release should be FIRED IMMEDIATELY along with the team involved with the BIOS and drivers!! !